Top: traditional hoplite order of battle and advance: bottom; Theban order of battle at the Battle of Leuctra. 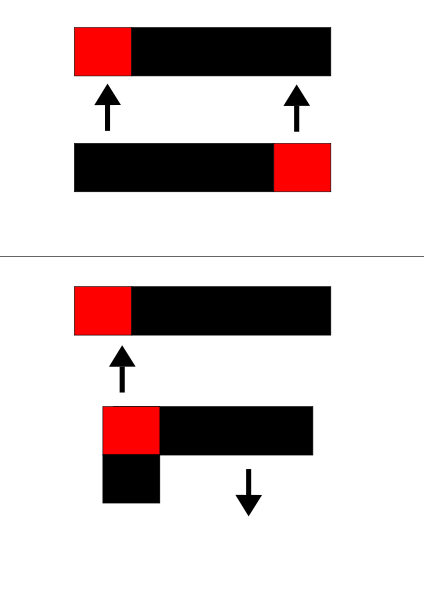 The red blocks represent elite troops in each phalanx. Drawn using Inkscape, modeled on the original Microsoft Paint image I uploaded to en.